I think I have taken this photo below during the first week of a warm weather of this year 2015. I think winter was just over and Spring approaches as you've noticed that the trees in the background doesn't have any leaves yet. 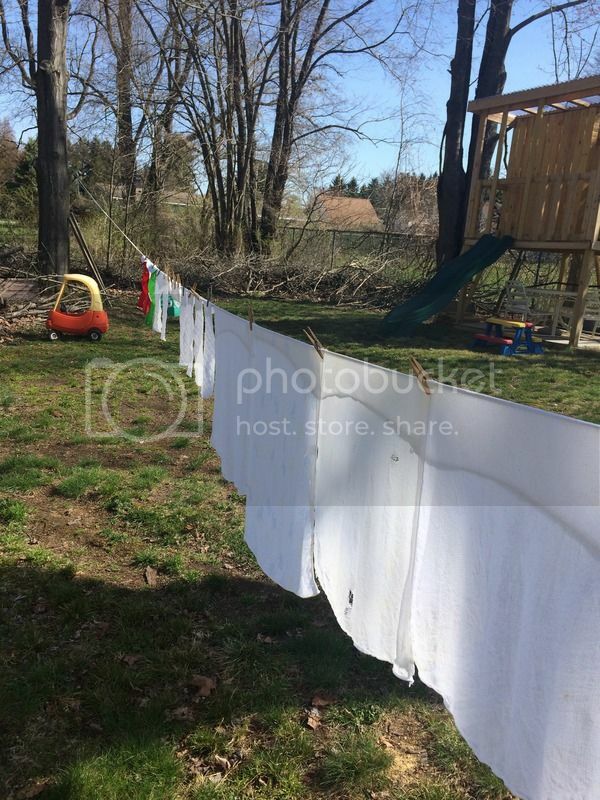 It was one of those early warm weather that I have to take advantage of drying my cloth diapers outside. Do the old fashion way, hang them on the clothes line and just let the sun dry them all. Saves us money for a while to not use the dryer at all.